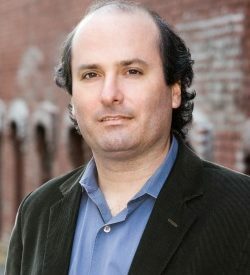 TONKAWA — Best-selling author David Grann will appear at Northern Oklahoma College Tonkawa Oct. 17 as part of the NOC Lectureship Series. The event is sponsored by the Carl and Carolyn Renfro Endowed Lectureship Program and Northern Oklahoma College. The lecture will be held at the Renfro Center at NOC Tonkawa. Killers of the Flower Moon: The Osage Murders and the Birth of the FBI tells the story of the Osage Indians, who, in the 1920s, became the wealthiest people in the world because of oil under their land in Oklahoma. They were then serially murdered off in one of the most sinister crimes in American history. The case became among the FBI’s first major homicide investigations. The FBI sent in a team of undercover agents, including one of the only Native Americans in the bureau. They eventually caught one of the masterminds. But, as Grann discovers, there was a deeper and darker conspiracy that the bureau never exposed. A feature film is now in production with Martin Scorcese directing and starring Leonardo DeCaprio. Tickets may be purchased on a first come, first served basis for the event beginning Thursday, Sept. 20 at 9 a.m.
A reserved table with seating for eight may be purchased for $300, which includes dinner in the Renfro Center. Dress attire is business casual. Individual tickets for the lecture and dinner may be purchased at a cost of $20 each. The tickets are non-refundable. Tickets may be purchased by credit card by calling (580) 628-6214 or in person at the NOC Development Office, Vineyard Library-Administration Building, NOC Tonkawa. Former Oklahoma State Regent for Higher Education Carl Renfro and the late Carolyn Renfro established the Carl and Carolyn Renfro Endowed Lectureship Program with a gift in 2006 to provide support for cultivating and enhancing the cultural and community enrichment offerings to northern Oklahoma on the Tonkawa campus and in the Ponca City area. Call the Northern Oklahoma College Development Office at (580) 628-6214 for additional information.